Approx 41cm or 16 inch square 100% cotton cushion cover in black fabric. Cushion fill is included too! 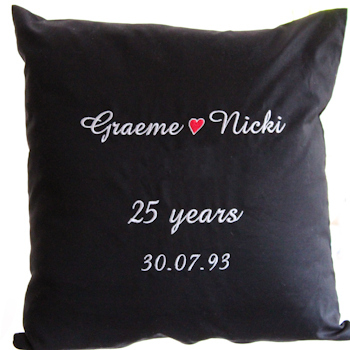 Enter the name(s) and text you would like embroidered in your choice of thread colour.